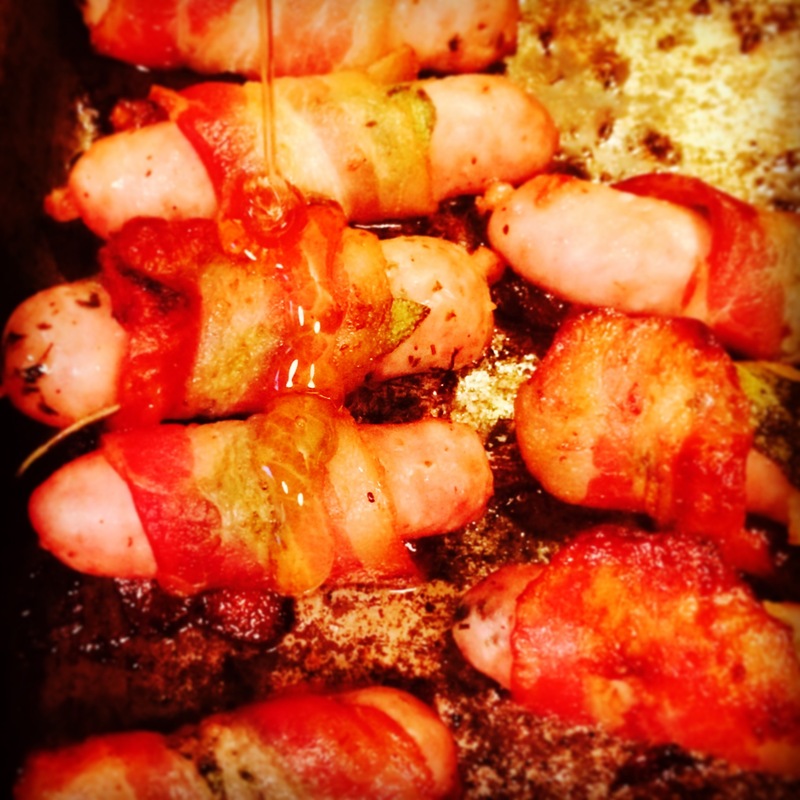 At Christmas you can’t have your roast dinner without pigs in blankets, they are a must on Christmas day!! This recipe just has a slight twist, it uses honey to make the sausage a little more sticky. Here in Spain I managed to buy a mixed pack of chipolatas with a selection of sausage; chorizo, regular sausage and a herb sausage, think it makes it more tasty to mix up the flavours!! 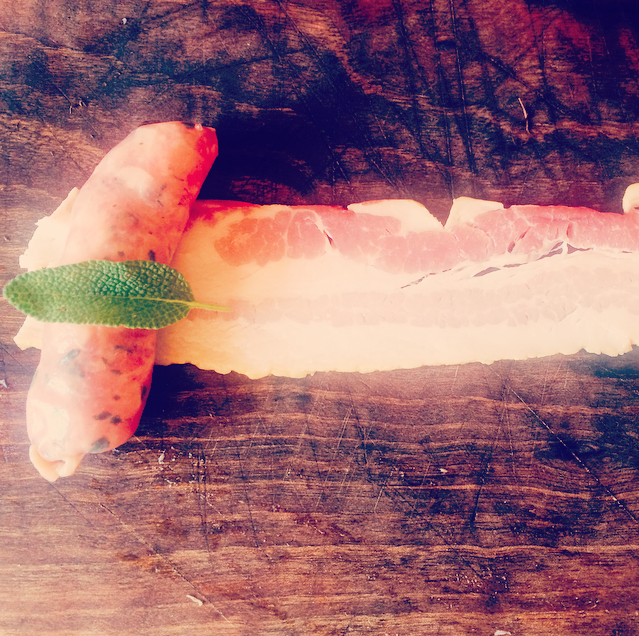 Lay out your bacon and pop your sausage on and a sage leave. Roll the sausage up in the bacon to halfway then cut. Use the other half on the next sausage. You can use 1 rasher per sausage if you prefer, I just think this way you will not need to buy as many. Once they are all rolled, pop into the oven on a tray, cook until the bacon is nice and golden and crisp, about 20-30 minutes. About 10 minutes before they are done, drizzle over some honey so they caramelise for the last 10 minutes. YUM!! Serve up with the rest of your trimmings. 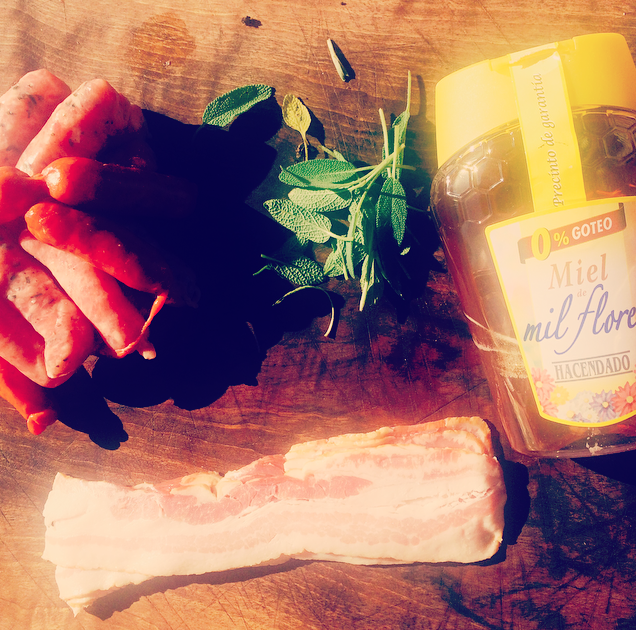 Lay out your bacon and pop your sausage on ad sage leave. 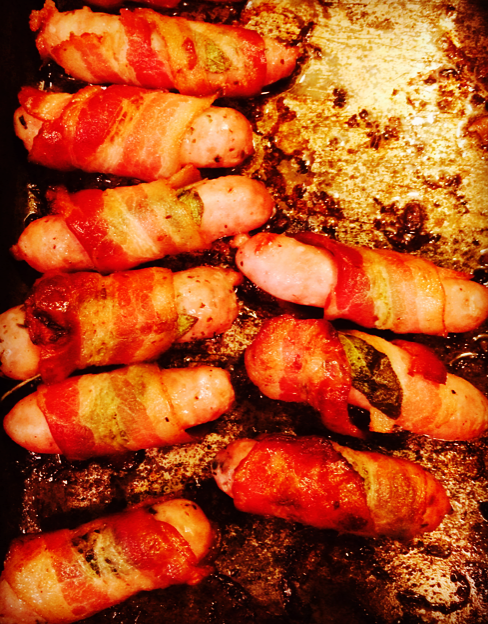 You can use 1 rasher per sausage if you prefer, I just think this way you will not need to by as many. About 10 minutes before they are done, drizzle over some honey so they caramelise for the last 10 minutes. YUM!! Serve!